on May 20, 1631. Original: Staatsbibliothek zu Berlin – Preußischer Kulturbesitz, Handschriftenabteilung. 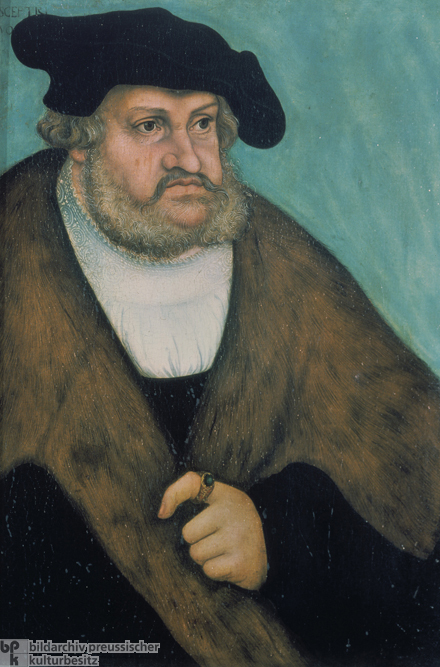 Elector Frederick III of Saxony, called "the Wise" (early 16th century) . 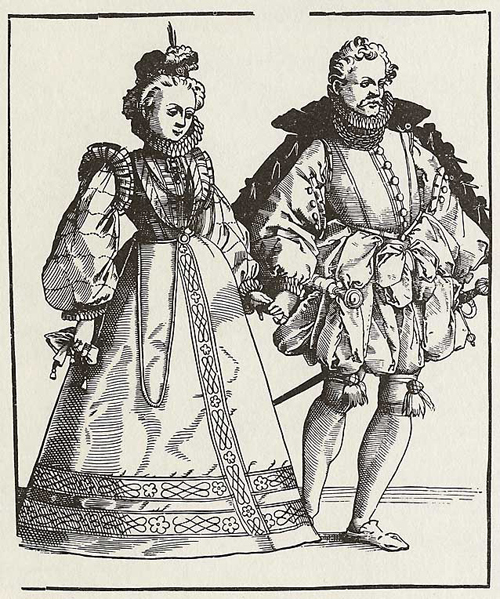 Nobles Dancing at a Ball (2nd Half of 16th Century) . An Augsburg orchestra plays a dance. Lithograph, c. 1520.
by Gottlieb Friedrich Riedel, c. 1750. Morning. Painting by Philipp Otto Runge, 1809. The market in Munich (Marienplatz). Engraving, colored by Matthäus Merian the Elder, 1644. From the Grimm Brothers' fairy tale, "Little Red Riding Hood." Little Red Riding Hood on the way to visit her grandmother. The market in Rostock (1576-1586). Original: Rostock, Stadtarchiv. Contemporary portrait of Rahel Varnhagen von Ense (1771-1833). Varnhagen's salon was an important meeting place for Berlin's Romantic writers. (December 7, 1970). Photo by Hans Hubmann. Berlin Street Scene (1921). Painting by Nikolaus Braun (Miklós Béla). Original: Berlin, Berlinische Galerie. The Jews’ Alley and Stockyard in Frankfurt am Main (17th Century). Drawing by Peter Becker. Siblings Hans and Sophie Scholl and Christoph Probst (from left) of the White Rose, a student resistance group in Munich. Photo by George Witt. Thomas Mann (1875-1955) speaks with Albert Einstein (1879-1955) in Princeton, New Jersey (1938). Photo by Lotte Jacobi. Original: Schiller-Nationalmuseum, Marbach. (November 11, 1989). Photo by Klaus Lehnartz. Gerhard Schroeder (r) and Joschka Fischer at a press conference during a meeting of the European Council (2003). Photo by Andrea Bienert. GDR Stasi files (1996). Photo by Bernd Kühler. From June 1 - October 31, 2000, Hannover hosted the World's Fair. The picture shows the exhibition "Idea Workshop Germany," which was held in the German Pavilion. Photo by Engelbert Reineke. Production of the Wartburg 353 in an Eisenach automobile factory (1966). Photo by Jochen Moll. "Lichtenberg '57," A kindergarden group on a walk in Berlin-Lichtenberg. Photo by Friedrich Seidenstücker, 1957. 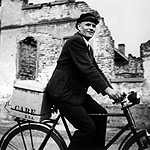 Cyclist transports a CARE-package (1948). Photo by Hanns Hubmann. Kidney-shaped dining room table (Haslocher Table Manufacturers) (1954). Photo by Willi Moegle. The NATO look for the coming fall (1982). Photo: INP/ap.